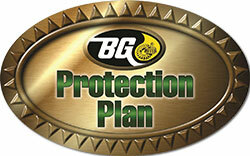 BG’s Protection Plan offers a unique and free opportunity to gain peace of mind about the ongoing performance of your engine’s critical components, whilst saving you money and lowering emissions. If your vehicle has less than 75,000 miles prior to treatment with the appropriate BG Products below, then if the protected components fail during the next 12,500 miles BG Products will pay up to £2,500* compensation. A superior oil fortifier that lengthens the effective life of oil. Modern engines run at increasingly higher temperatures. This, combined with the increasing regularity of stop-and-go driving, cause rapid depletion of critical oil additives. Without these protective additives, severe engine oil oxidation occurs. Oxidation reduces oil to heavy, black sludge in the crankcase, oil screens, oil passages, rocker arms and other critical areas of the engine. Modern diesel engines operate at temperatures and pressures. 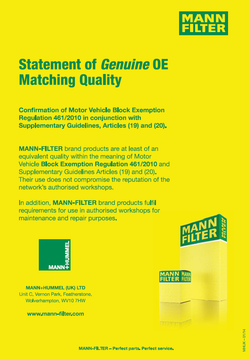 This puts a lot of demand on diesel engine oils and the additives they contain. Hydraulically activated fuel injectors increase oil pressures and emissions devices increase soot accumulation in oil. These systems test the limits of engine oil. Under the right conditions, heat causes sulphur from fuel to combine with entrained moisture to create sulfuric acid. This acid wreaks havoc on engines, causing corrosive wear and severe damage to engine components. 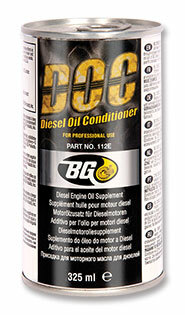 BG DOC Diesel Oil Conditioner maintains like-new diesel engine power and performance, neutralises acids and acid corrosion, reduces friction and wear on engine parts, stabilises viscosity, prevents sludge through increased oxidation and soot control. 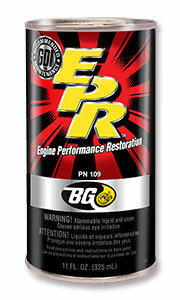 Regarded by many as the best fuel system cleaner of its kind. 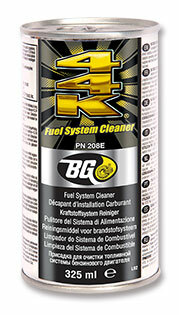 BG 44K cleans fuel injectors, valves, O2 sensors and the combustion chamber. It will also have a cleaning effect on the catalytic converter. BG 44K contains a very high level of PEA (Polyether Amine), an expensive chemical that is recognised by all engine manufacturers including Ford, Toyota, BMW, General Motors, Honda and others as being the effective treatment for removing hard baked carbon deposits. Carbon deposits can lead to injectors problems, misfiring, poor running, erratic idling and other factors that lead to loss of power and less MPG. 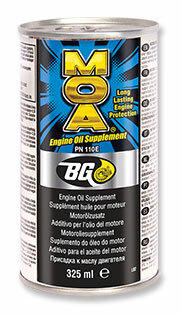 BG44K and BG244 are suitable for car, motorcycle, commercial, agricultural and marine engines. They will not harm the turbo charger or diesel particulate filter. 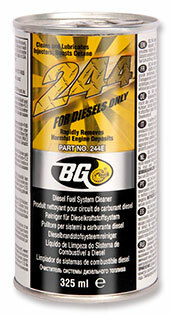 BG 44K can be used in diesel or petrol engines. Quality parts at the best possible prices. Cartek Garage Services Ltd source products known as Original Equipment, Genuine and Aftermarket qualities. These are sourced from top Original Equipment manufacturers (the companies that supply parts for original vehicle build) as well as Vehicle Manufacturers and Aftermarket suppliers. It is our aim to source the best possible products in a particular quality band at the best possible price, so that we can remain competitively priced at all times. This policy means that we do not sell just one brand of a particular component but you can be sure that the product we supply has been carefully chosen to match the technical requirements of your vehicle.